This place is unique. A steam roller in the lobby, stage coaches and farm equipment hanging from the rafters. 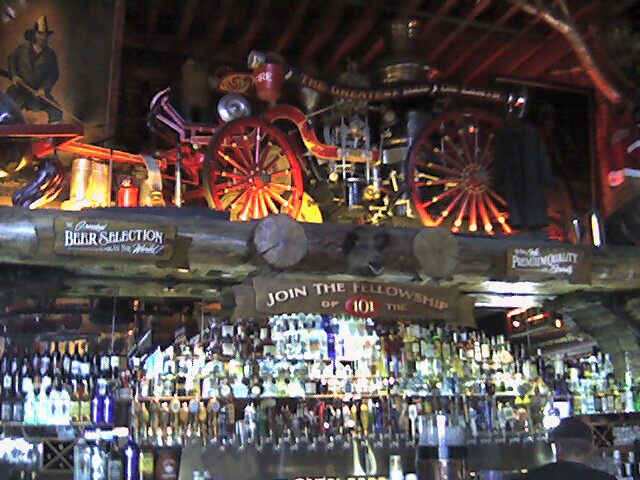 A bar with a horse drawn fire engine overhead, many tall tables, a few booths and wall of TVs. There is also a large dining area, great for families, as well as an outdoor patio. 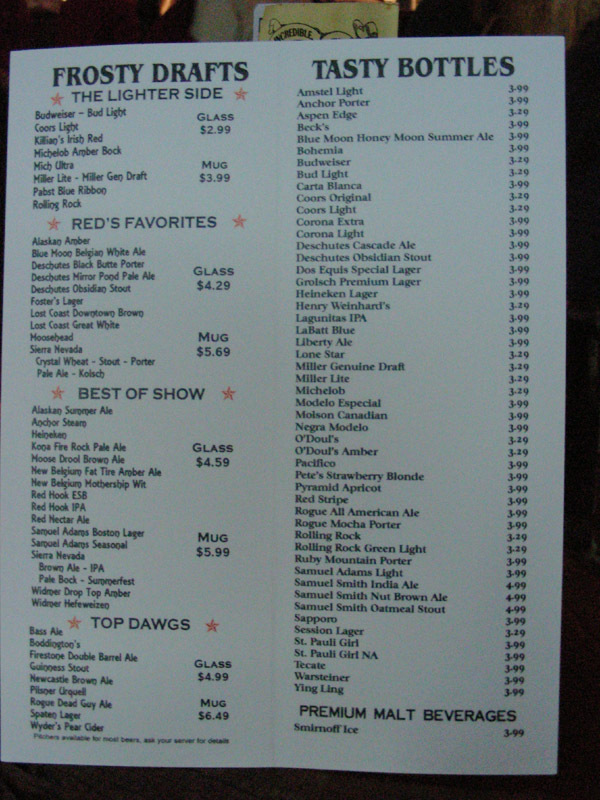 As for beer, there are more than 50 taps and 101 varieties counting bottles. The taps are about half regional craft beers (9 Sierra Nevada brews and several from Deschutes, Anchor, Humbolt, and many others). There are also a few mega brews, some mega craft (Sam Adams) and some imports. 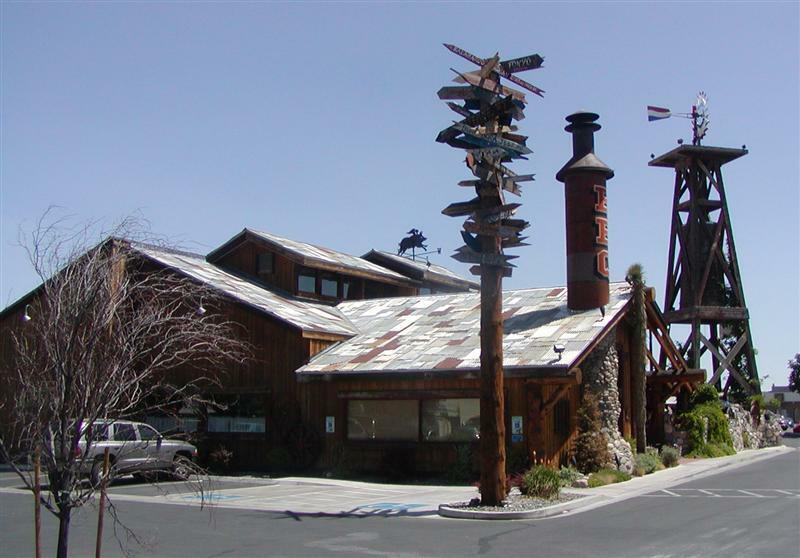 The menu has a heavy BBQ emphasis, full dinners as well as typical pub fare. There are several unique specialty sandwiches, salads and appetizers. Service is usually very good but it can back up during crowded evenings.